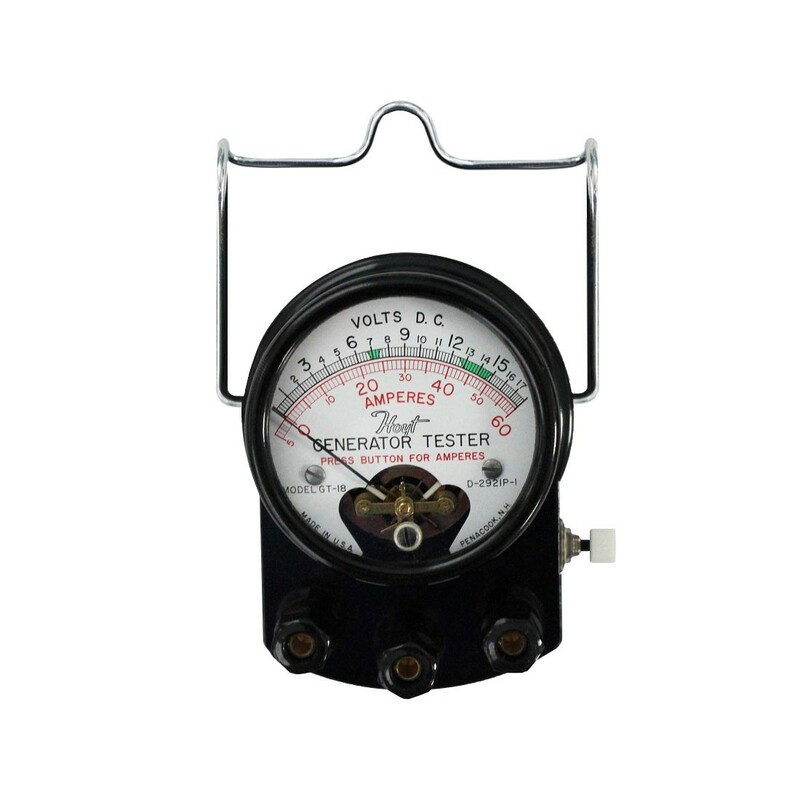 This moving-coil type, double-scale, volt-ammeter was designed for the automotive enthusiast. Ideal for testing regulators, batteries under a load, cables, relays, and coil current. Three terminals marked +, A, and V.
Connections are made with pair of leads supplied with the meter. 90 scale divisions together with a needle-pointer makes reading 1/10 of volt easy and accurately. No batteries required for this proven design.